OK, so we know this one is definitely not in the Hills District. In fact, it’s a bit of a trek to Sydney’s eastern suburbs. But it IS pretty special and would make for a lovely family day trip! 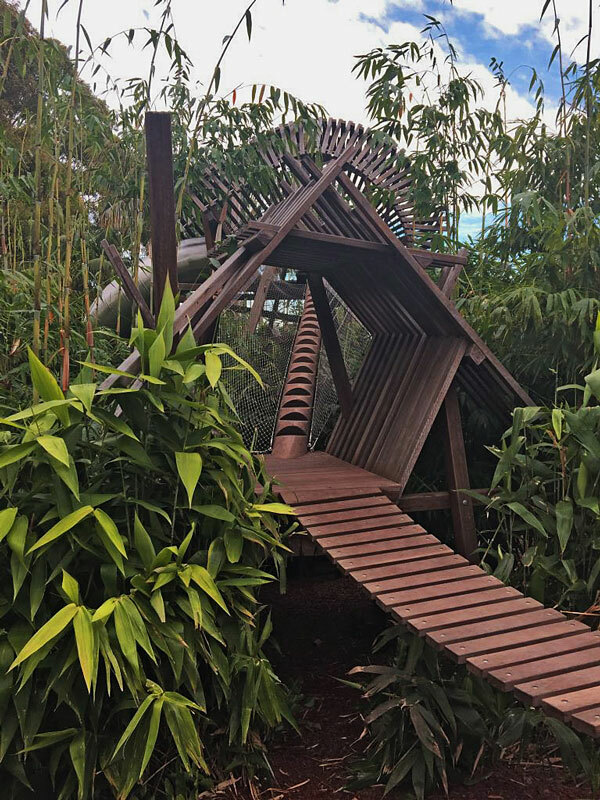 The Ian Potter Children’s WILD PLAY Garden is located in Centennial Park Sydney. This park is a stunning park already but with this new space, it’s even more amazing! This $4 million nature play space only opened in late 2017 – the key term to note here is ‘play space’ not ‘playground’. WILD PLAY provides children with the chance to get lost in the wonder of nature. 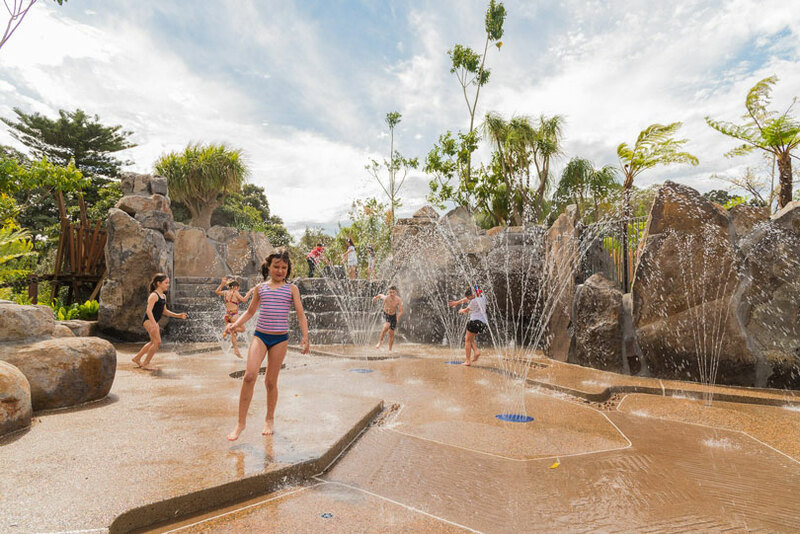 There’s dry creek beds, an artesian water play area, a bamboo forest, a giant slide, banksia tunnels, turtle mounds and a treehouse. Children are encouraged to run, jump, play, learn and discover the wild side of life! Coffee nearby? Yes, The Bar Coco kiosk is located within the Garden, near the gathering circle and the Discovery Centre. Bar Coco is open from 10am to 5pm daily. There are also toilets and parking, although if it’s a super busy day you may have to hunt just a little. There’s also a second small cafe by the playground that’s about a 7 minute walk from the Garden. What do you need to bring? As mentioned there’s water play, so it’s worth bringing a change of clothes, swimmers and towels for the kids. We also recommend sports shoes/closed toed shoes for exploring as there is a LOT of bark. The ideal age group is 2 years to 12 years. 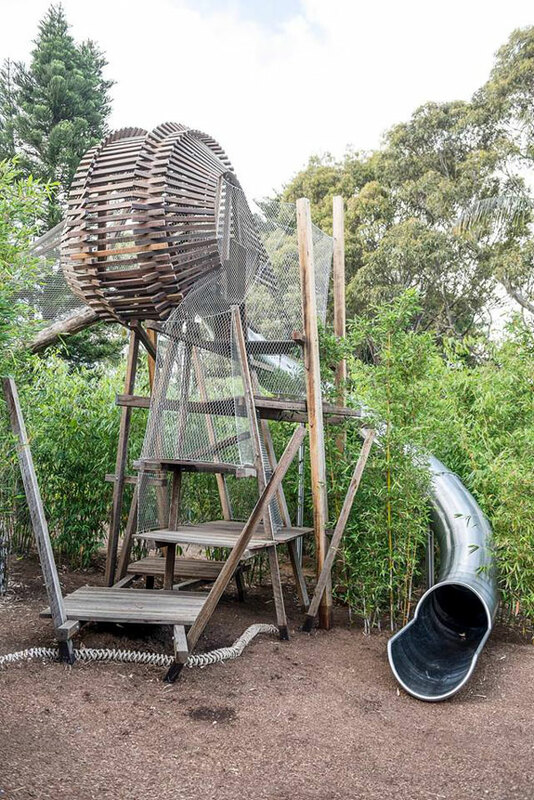 This video will give you an idea of the fun your kids can have at the WILD PLAY Garden. Open from 10 am – 5 pm daily. How to find WILD PLAY: Enter from Grand Drive in Centennial Park. 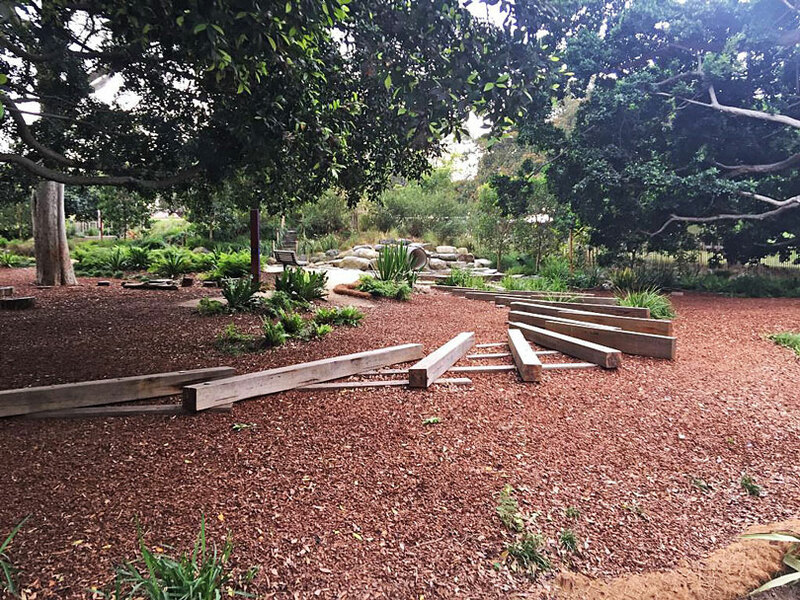 The Garden is adjacent to the Education Precinct off Dickens Drive. Here are some maps to help you get there.